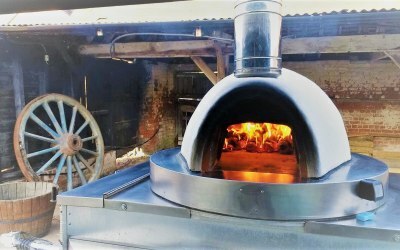 Mobile wood fired pizza & catering. 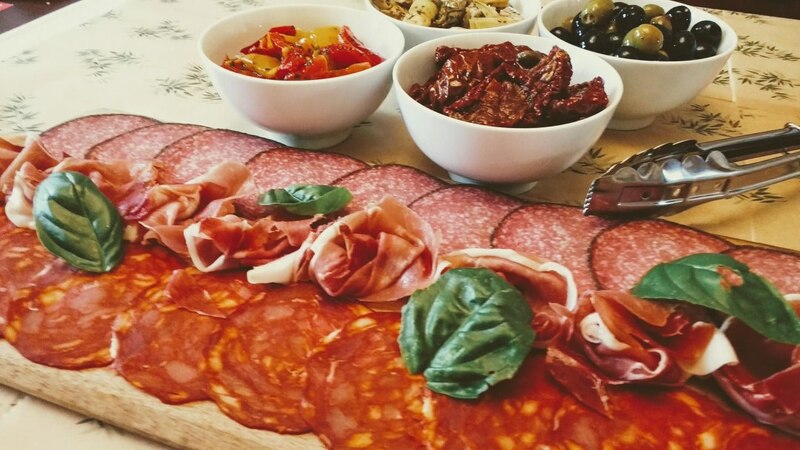 Ideal for the special occasion or event you're planning - whether it be a birthday party, a corporate or charity event, or maybe a super tasty buffet for your wedding day. 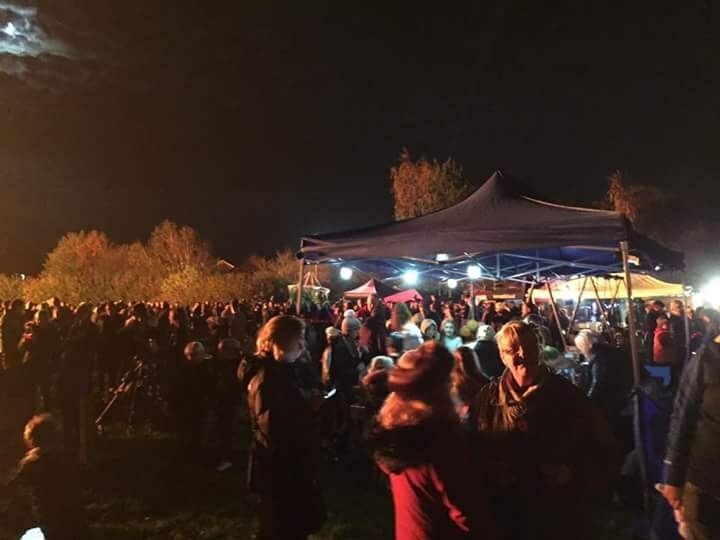 We also cater at a range of public events throughout the year such as food shows and festivals. 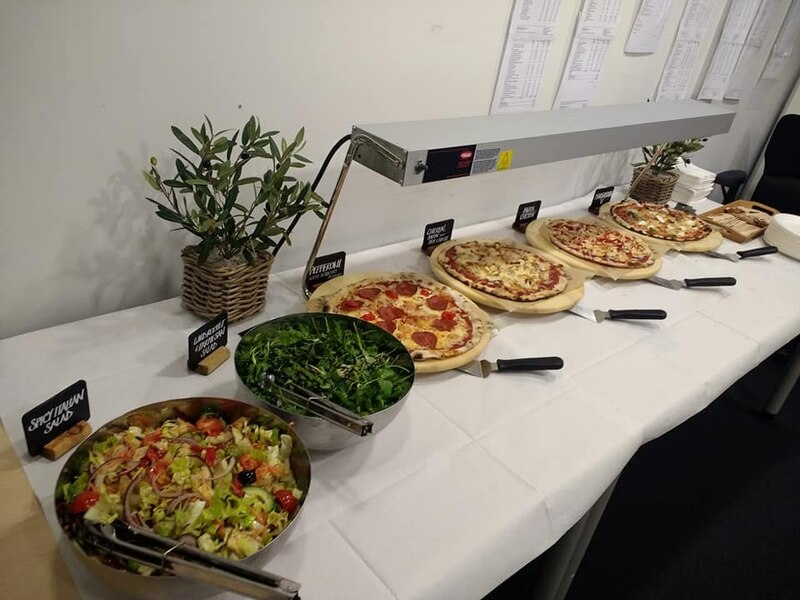 We offer a personal and professional service, and with our attention to detail we will ensure that you have the perfect pizza and side dishes for your event, hassle-free and stress-free. 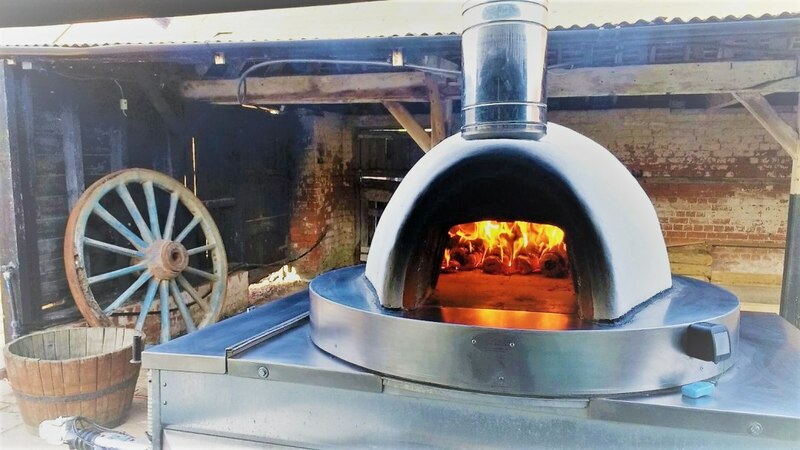 Our delicious pizzas are all handmade and made to order by us, from only the finest and freshest ingredients, and cooked at 400C while you wait in a matter of minutes. 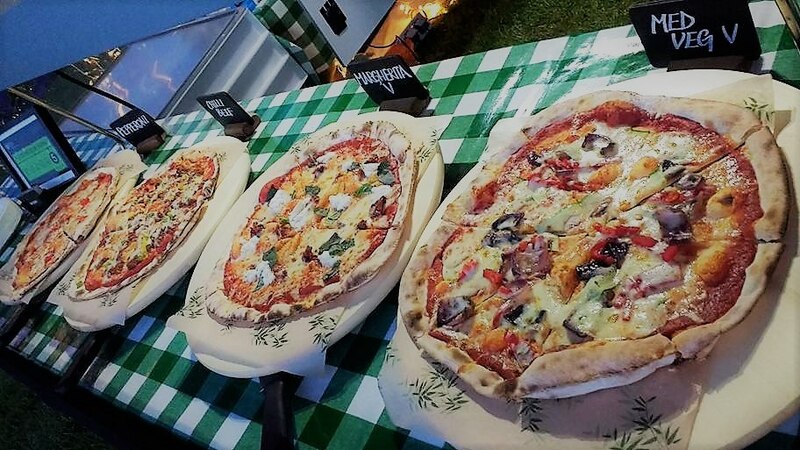 We can cater for all, whether it be that you're vegan, veggie, or you need a gluten-free pizza base, or indeed if you have any allergens. Great food, fresh and delicious. Very professional. Oregano Kitchen took care of everything. No hesitation in recommending them to anyone. I booked Ollie and Jess to come to a festival style party in our garden. I hadn't tasted their pizza but they reassured me I wouldn't be disappointed. 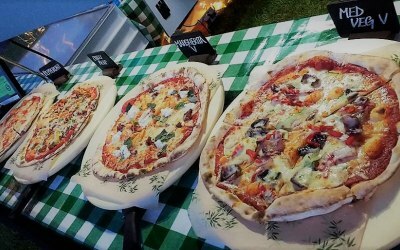 We chose 4 different pizzas (chorizo and smoked cheese, Margherita, brie courgette and caramelised onions, parma ham and mushroom) which wasn't easy as they all sound delicious! 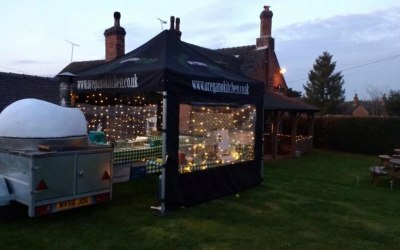 They arrived punctually and set up, ready to serve our 150 guests who definitely weren't disappointed. In fact, I've had SO many compliments about their pizza that I just wish I lived close enough to go to their pop up evenings and have some more. If I have another party, I'm booking them again. 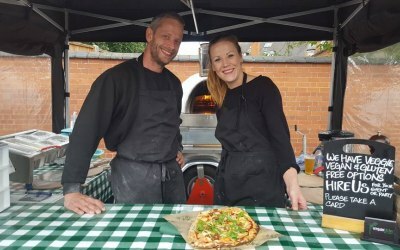 Ollie and Jess are delightful and the pizza is delicious! We are so grateful to Holly & Jess for making our our family reunion/charity event so special. 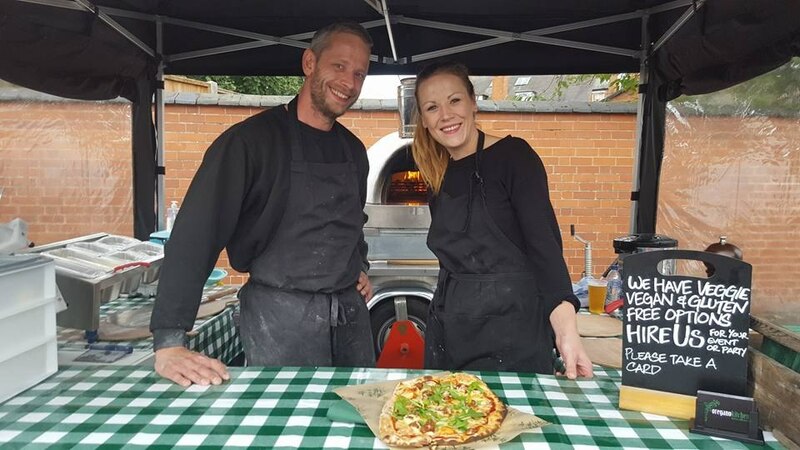 Not only did they produce their wonderful, delicious pizzas but they also did so with a smile. A professional and efficient team who catered for vegetarians, celiacs and vegan guests. Nothing was too much trouble for this pair and nothing phased them. I also found out later that they had kindly donated to our charity ‘for keeping people with end of life illness at home’. We want to say the hugest of thank you to you both and we will definitely be asking you to revisit us again. David & Cheryl Jones. Thank you so much to Ollie and Jess who put on a fantastic lunch for our corporate event. I would like to thank Oliver and Jess for making my party so amazing. They were so friendly and accommodating they went out of their way to please everyone. 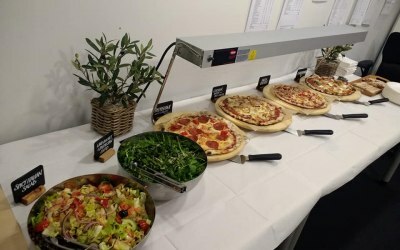 The feedback from the guests was that the pizza was really tasty and it was brilliant idea to have pizza instead of a buffet. It must have smelt good because passers by were asking to buy as they walked past the venue. 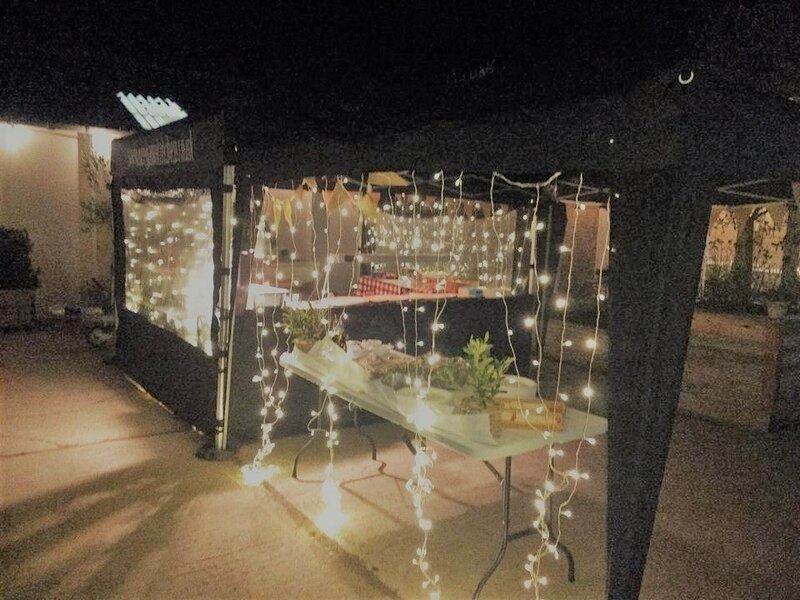 Came on time, set up and got the oven fired up ,once they started serving the pizzas they didn’t stop worked really hard and everyone enjoyed food, catered for a few vegans with no problems at all. The food itself was scrummy, we went for the margarita, Moroccan lamb, meat feast and potato, rosemary and cheese. We cannot thank you enough for the wonderful food and service that you provided at our daughters wedding. We have received so many compliments on the food that you served and the fantastic service you provided to all of our guests. It has been a pleasure to deal with you from our very first enquiry you are so professional and you made what was a special day even better. Oregano Kitchen catered for my partner’s 30th birthday party. 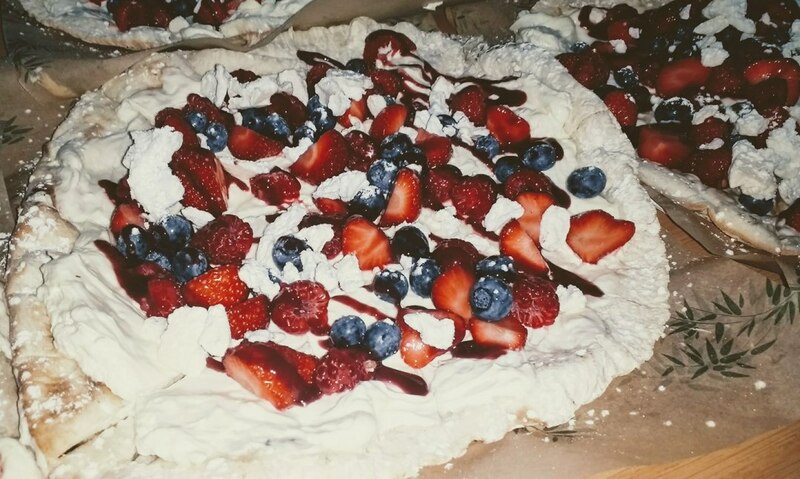 The pizza was fantastic, they catered for GF, veggie and even dairy free. Completely delicious pizza, great service. Everyone had more than plenty pizza in a buffet style. Couldn’t recommend Oregano Kitchen more highly!!! 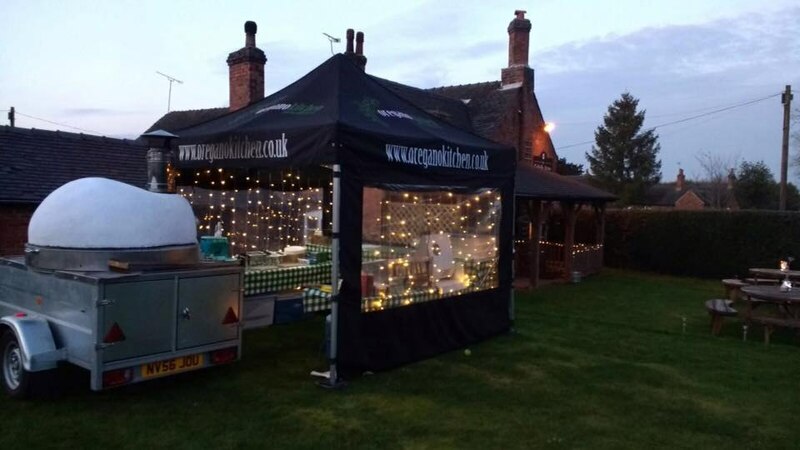 Oregano kitchen supplied us with delicious pizza, garlic bread and sides for the evening party of our wedding. 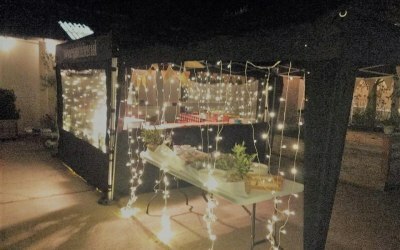 A beautiful set up was awaiting our arrival, fairy lights surrounding the pizza oven. After the main buffet was over the guys boxed up the rest of the pizza for us so our guests could feast all night. I would highly recommend Oregano Kitchen for their quality, friendliness and good value for money. 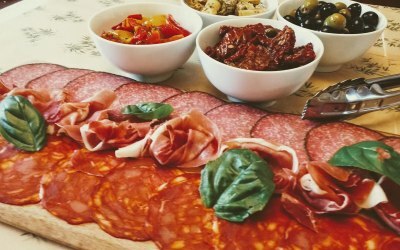 Get quotes from Oregano Kitchen - Pizza Alfresco and others within hours.